Welcome this cocktail table into your home, and add a splash of contemporary style to your living room. With its white marble top and powder coated iron base, this piece blends two complementary materials to create an intriguing, two-toned design. Its criss-crossing table supports bring some pizzazz to its silhouette too, ensuring this cocktail table provides your decor with unmatched personality. 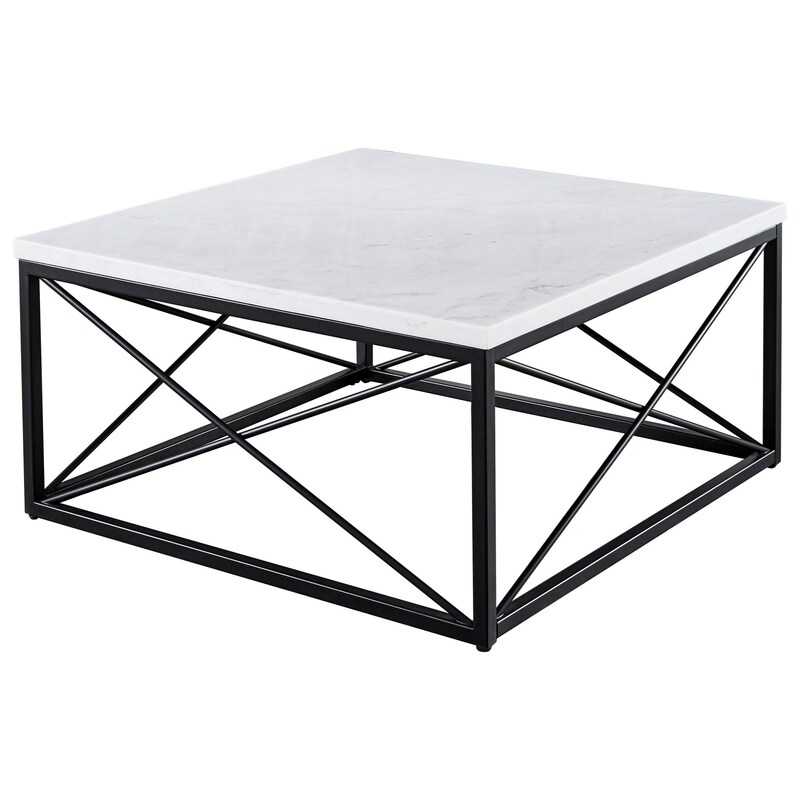 The Salter Contemporary White Marble Top Square Cocktail Table at Morris Home in the Dayton, Cincinnati, Columbus, Ohio, Northern Kentucky area. Product availability may vary. Contact us for the most current availability on this product.